One of the benefits of using operating systems from the same company is that they have a certain level of compatibility. 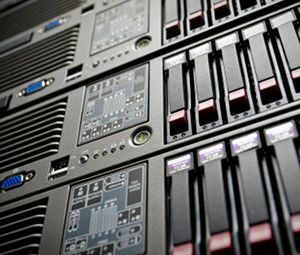 What this means is that it should be an easy task to connect to a Windows server with a Windows computer and check what is going on, using Terminal Services or its successor Remote Desktop. This compatibility goes beyond desktop devices however. 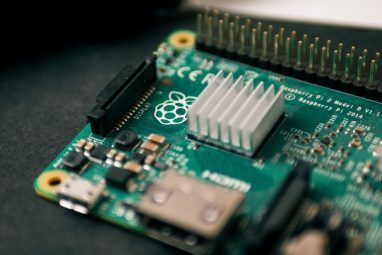 If you own a Windows Mobile, Pocket PC or other Windows CE handset, you will find that there is also a way of connecting such a device to your server for remote administration. Long gone are the days in which a system administrator would have to skulk in a freezing cold server room, hunched up over a server stack console tapping away on the slide-out keyboard and deftly manipulating the trackball. Thanks to the remote tools that have appeared since Windows 2000 Server, it is possible to launch utilities and software remotely, check server status, monitor anti-virus software, for instance, and much more. The following sections explain how to connect with a Windows Mobile device to Terminal Services on Windows 2000 servers and Remote Desktop on Windows 2003 and later servers. Note that a network connection – either Wi-Fi or mobile Internet – is required for either of these solutions to work. If you’re using a Windows 2000 server, in order to connect your Windows Mobile/Windows CE device to your Terminal Server, you will need the Windows 2000 Server CD-ROM where you will find the Mobile Terminal Server tool. Should the disc not be readily available, you can find the software on the ZDnet website (free signup required). Sadly due to the arrival of Windows Phone, the link to download the software from Microsoft has been removed. Once you have this software, connect your Windows Mobile device to a computer with ActiveSync installed and then run the downloaded setup.exe software, which will install the terminal client on your device. On your Windows Mobile handset, open Start > Programs > Terminal Server Client and name the connection, followed by the server name or IP address. 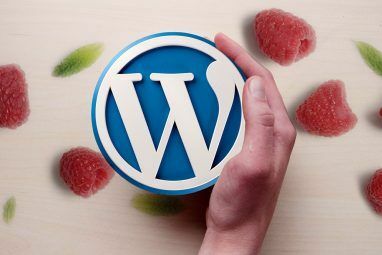 In some cases DNS issues will prevent the successful resolution of the server name, so an IP address is usually recommended. Tap Next, then Log on automatically, inputting the username, password and domain. Note that if you don’t select the automatic logon, you will need to sign in each time you start the connection. After clicking Next, you will then have access to the server. Use Display Desktop to view the full desktop or Launch application for a specific program. Click Finish to end the setup and launch the connection. For servers running Windows 2003 or later, you will need to use the Remote Desktop client that is native to Windows Mobile 5 and later. Sadly this didn’t ship on some versions but is available on the web – one such link is this one – which must be copied to your mobile device and then executed to install. Note that this must be installed to your mobile’s main storage, not a memory card, as you may experience issues with keyboard interaction. Once installed, the application will be available in the Programs menu on your phone. 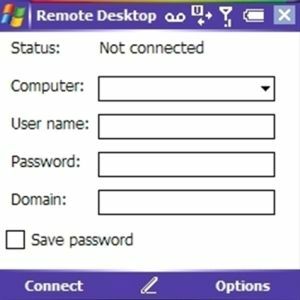 You can set up the remote by first configuring your Windows desktop or server OS to accept incoming connections. Right-click Computer, select Properties > Remote Settings and on the Remote tab select Allow connections from computers running any version of Remote Desktop (less secure). You can switch to the more secure option later after establishing the basic connection, if necessary. Next, load the RDP application on your phone, add the IP address of the device you’re connecting to (whether a Windows server or a Windows computer) under the Computer field and then provide the username, password and domain for the account. Tap Connect and the software will then establish a connection, allowing you to view the desktop of the remote computer. Surprising as it may seem, these instructions are purely for Windows Mobile/Pocket PC devices. You might have a handheld PDA or mobile phone that hasn’t been replaced with a more up-to-date device due to a lack of funding or simply because you have other legacy requirements that necessitate the continued use of one of these devices. Sadly there is no option on the new Windows Phone platform – native or third party – for accessing the old Terminal Server. In order to use one of these devices (such as the Nokia Lumia phones), you will need to install dedicated remote desktop software on the server and phone and spend a lot more time configuring this than you would using a Windows Mobile device. Furthermore, none of the RDP solutions for Windows Phone are currently free. The ease with which it is possible to set up a Terminal Services server connection with a Windows Mobile or other Windows CE device is testament to the way in which various Windows devices can communicate and enable corporate users and developers to get the most out of the various operating systems. It really shouldn’t take more than a few minutes to establish a connection with your server via the Remote Desktop Protocol, and once this is done you will have the ability to access the tools and documents stored there from anywhere, providing you have an Internet connection for your Windows Mobile device. Explore more about: Remote Access, Remote Desktop, Web Server, Windows Mobile. This version of Windows Phone seems old. I don't see anyone using anything other than Windows Phone 7 anymore. It's a fair point, however I have it on good authority that some public service IT departments still use WM/PocketPC for certain tasks. Additionally there are WinCE devices around the world running applications for dog track betting agents and delivery men - that's just two examples.